Last time I flew domestically in New Zealand, I had to make sure that my spare lithium battery pack was in carry-on rather than checked. It’s safer that way because a fire from a shorted battery can be contained in the cabin but can’t be so easily contained in the hold. America’s looking to broaden its ban on laptops in the cabin. Rather than just affecting flights from the mid-east, where there might be somebody planning on making a laptop-bomb that could be activated from the cabin, it may extend to all flights. Pretty good trick from the bad guys’ perspective, if batteries in the hold are risky. Restricted to places with a relatively high risk of laptop bombs, maybe the ban passes cost-benefit. Applied everywhere, the tiny risk of any laptop spontaneously catching on fire adds up across all laptops and likely dominates bomb risk. When a laptop in the passenger cabin spews smoke or bursts into flame — it’s happened some 19 times over the last five years, according to Christine Negroni, Forbes’s aviation blogger — it is quickly noticed and extinguished. But a fire in the cargo hold won’t be noticed, and experts say that the heat from such a fire quickly grows too high to be extinguished by the fire containment equipment in the hold. When I made some inquiries about why the F.A.A. 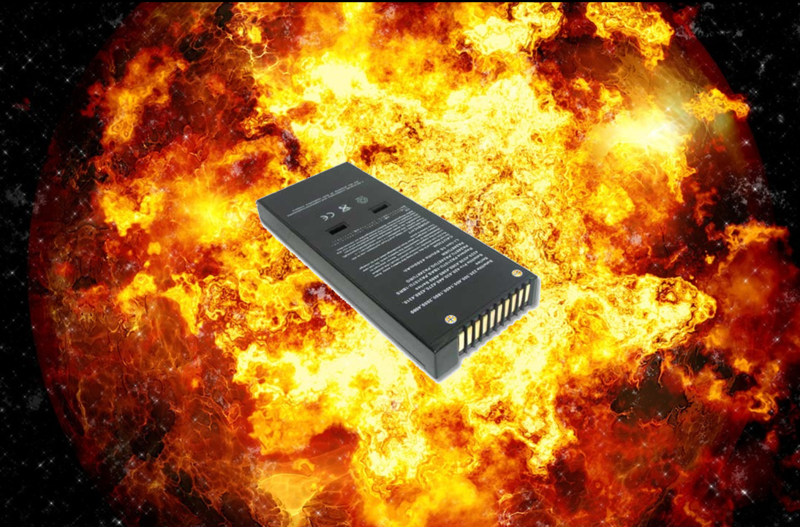 wasn’t raising holy hell about Kelly’s laptop ban, giving its warnings about the dangers of the batteries, I was told that transporting lithium batteries in bulk creates a different scenario than shipping laptops and iPads in checked luggage. But the agency is also going to be conducting tests to gauge the potential danger a laptop ban might pose. Those tests are now in the planning stages. Given the pace at which the government moves — as well as the need to get this right — the work is unlikely to be done soon. But consider: On a flight with, say, 200 passengers, there could be as many as 400 lithium-ion batteries in the cargo hold. Yes, they’re not packed together. But if one burst into flames in a suitcase, it is not hard to envision the flame spreading, and one battery after another exploding. And what if another manufacturer comes out with a faulty product, as Samsung did, after the ban is in place? It would dramatically raise the odds of a disaster. Simplest solution is just to continue avoiding travelling to the United States until it is less of an insane asylum. But please let’s not import this bit of American nonsense here. Not much we can do about it if the US requires it on all flights to the US, but we can avoid imposing it on ourselves.